Fine Arts and Computer classes. Cooking, Music, Foreign language. Gardening and Nature study. Science and Outdoor activities. Yoga and PE. Field trips. Learnings and Fun … All inclusive!! Fun and engaging learning environment. Its not a Trend !! 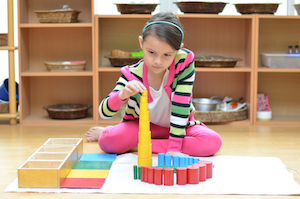 Montessori schools use a philosophy and tools that have been around for over a century. Montessori education proves to be effective regardless of whether it is in a private or public school. A Dr. Maria Montessori philosophy that keeps children at their best natural progression. 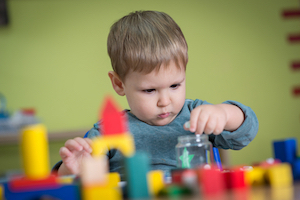 Children learn at their own pace and can repeat an activity many time before moving on the next. 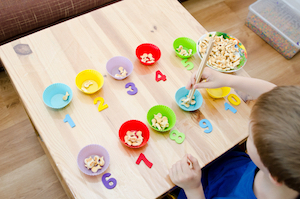 This helps improve their cognitive skills. I am the parent of a child in the infant room. I feel very fortunate to have found such a wonderful group of people who care deeply about the education and well-being of my daughter. The classrooms are clean, the staff is warm and dedicated. My daughter is already loving the Montessori materials in her classroom and it has been fun to watch her continue to learn and blossom in the care of the dedicated professionals at Sherwood. We just love it. My daughter started here at the beginning of November and loves going to school. Great staff and caring teachers. Such a blessing we found this school! I can already see a difference in my daughters daily routine with her communication and life skills. I highly recommend this Montessori school!